Close-up multispectral photograph of a Chrysanthemum flower. Under visible light the flower has a yellow centre and white petals with green edges round the tips. This image was created using ultraviolet, infrared, and visible light photos of the flower. 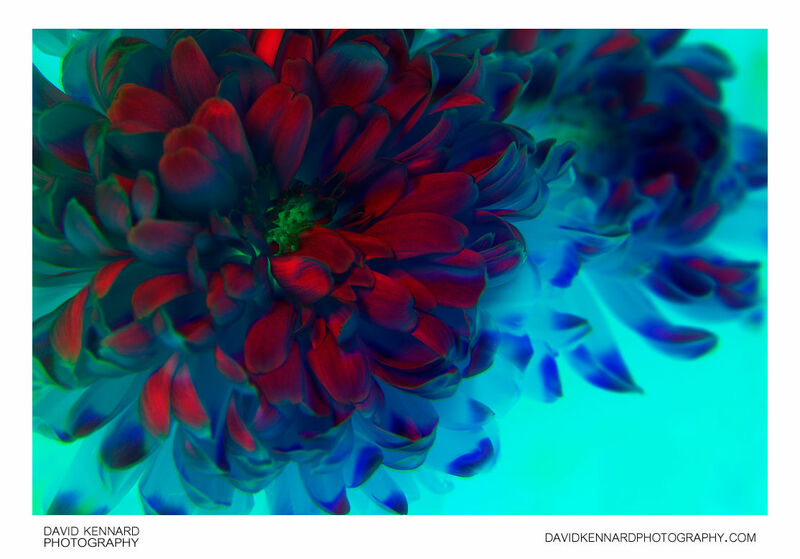 By inverting the infrared and visible light images, the flower is turned red and the background cyan. New RGB document created using the infrared image inverted as the red channel, the visible light image inverted as the green channel, and the ultraviolet image as the blue channel.